Toddler-Friendly Vegetable Chicken “Magic” Soup | Laura's "Rules"
Like the wonderful children’s book, Stone Soup, this recipe — or rather, technique (such as it is) — makes do with whatever you may have on hand. I’ve probably made it at least once a month since Maya was six months old, because, like magic, veggies disappear! It also works for babies, pureed in a blender, for a very healthy and fresh baby food. The basic technique is incredibly simple — boil a whole chicken until done to make a simple broth, sauté vegetables and spices, chop up the chicken and combine. Cook a while, then add fresh lemon and herbs just before serving. Sometimes when I’ve made it, it turns out better than others, based on the particular vegetables and flavor combinations. Maya doesn’t really seem to notice, either way. She likes the nourishing, mild broth and mix of vegetables softened in the soup. But if you’re planning to serve it as a meal for everyone, certainly pay attention to the mixture of flavors, and add more salt, pepper and lemon at the table. My husband adds harissa as well, for heat. It will make a good week of lunches. And it freezes well, so having a good-sized batch is useful. I use stainless steel ice cube trays, the old-fashioned kind. In addition, you can save the bones and trimmings, as well as any vegetable parings, in a freezer bag for making stock. An excellent set of tips for that is here. The cost savings, in comparison to buying organic vegetable and chicken stock, are considerable. My latest batch included a lot of fennel, as well as fennel tops at the end. I do not recommend this, as it ended up too fennel-rific. But a smaller amount (i.e., less than a whole large bulb), should be fine. It’s delicious over brown rice or pasta. By day three, I also usually add cheese on top, to keep Maya’s interest. Enjoy! Using a large pot, cover the chicken in (filtered) water and bring to a boil on the stove over medium heat. Simmer for 45 minutes to one hour. When the chicken is thoroughly cooked and almost falling off the bone, lift it out of the liquid carefully onto a plate and let it cool for a few minutes. Take the meat off the bones, using your hands as needed, and rough chop (in smaller pieces if you plan to freeze it). It may be a bit stringy, so keep an eye on making it small enough for a toddler to grapple with. Scoop any chicken residues out of the broth. Add the vegetable mixture, chicken and broth together and heat through. Add in generous amounts of fresh lemon juice, to taste, and fresh herbs (and any spinach). 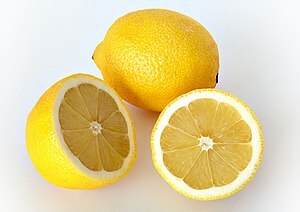 Stir until wilted, and serve, with lemon wedges if desired. Adopted with modifications from “Baby Love: Healthy, Easy, Delicious Meals for Your Baby and Toddler,” by Norah O’Donnell and Chef Geoff Tracy. This entry was posted in Recipes & DIY and tagged baby food, Baby Love: Healthy Easy Delicious Meals for Your Baby and Toddler, beans, broth, carrots, chicken, cook, delicious, dinner, eco-, environmental health, Fennel, food, green, Green bean, health, healthy, healthy baby food, healthy toddler food, home-made baby food, infants, kale, Lemon, Maya, meal, mommy blog, Norah O'Donnell, Onion, organic, parenting, parents, peas, potato, recipe, recipes, soup, spinach, squash, stew, stock, Stone Soup, Summer Squash, toddler, toddler meals, toddler veggies, veg, Vegetable, veggies, zucchini by Laura MacCleery. Bookmark the permalink. This is home cooking at its best, in my book! From a great home cook like you, that’s high praise indeed!